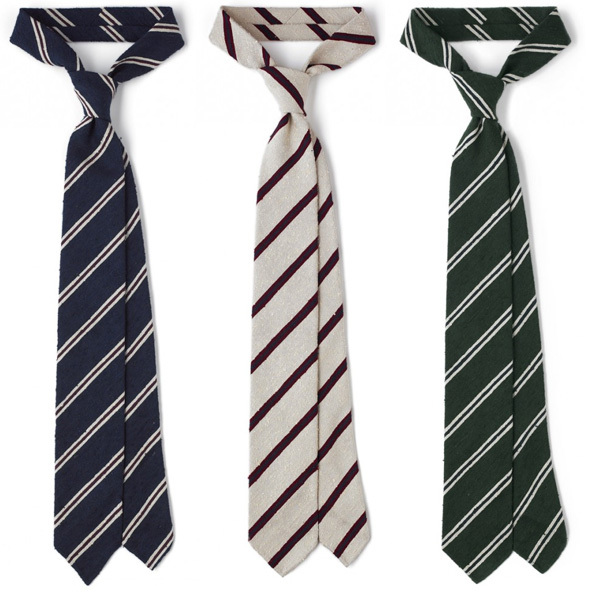 Drake’s is now offering a selection of shantung ties for 2011 in regimental patterns. The silk used is very slubby and pairs best with casual jackets (a linen patchpocket sportcoat for example) – just be warned that the width on these are on the narrow side at 7cm. The other SS11 highlights are the new lightweight scarves and pocketsquares.